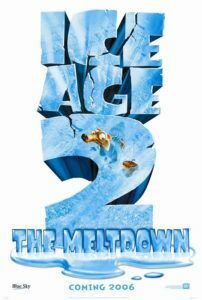 Ice Age: The Meldown retains the same underwhelming quality from the original, 2002’s Ice Age. Ultimately a retread of its predecessor, there’s more “crap” jokes, more gags about death on a massive scale, and plenty more pop-culture references, but none of the magic we’ve come to expect from an animated movie. When there’s competition from Disney and Pixar, everything else feels amateurish and pathetic, forcing us to wonder why these third-string hacks even bother? Only Scrat, the squirrel creature who’s like Wile E. Coyote if The Roadrunner was an acorn, manages to crack us up at all, if not prove somewhat tiresome by the finale. In one of these sequels, maybe Scrat will order an Acme rocket to reach his acorn, or build some impossible mechanism that propels him high into a tree for easy gathering. Then again, are there trees in this movie’s Ice Age? We never see the Oak from which Scrat’s sole acorn fell, so perhaps not. That’s probably why his search is so basic and funny. Even still, while his twitchy, frustrating acorn chase proves chuckle-worthy, it’s surrounded by about 80-minutes of uninteresting and inconsistent filler. 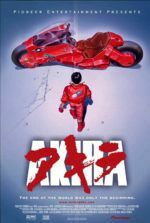 Blue Sky and Twentieth Century Fox’s animation studios need to decide which way they want to go: Either their cartoon should take place within a very specific era and play by that era’s rules, or it should be completely wild and nonsensical. Pixar, for example, always feels completely natural within its chosen setting and never loses its particular film’s reality. Whereas, say, Surf’s Up, a Sony Pictures Animation gem, acknowledges that its setting is absurd but commits to its silliness wholeheartedly. 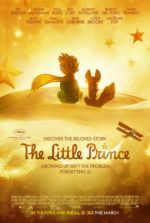 The problem with animated features by Dreamworks and Fox—they never fully commit one way or another. Anyway, back to Ice Age: The Meltdown, which is set thousands of years ago but still manages to incorporate an embarrassing profusion of double entendres and hip humor. This is a dreadful experience that parents will undoubtedly suffer through while their children only comprehend the basics of the story. All the familiar characters return from the original with new-but-lackluster conflicts to overcome, including the melting of the glacier surrounding their valley that threatens to drown them. Manny the mammoth (voice of Ray Romano) tackles his solitude, being the only remaining mammoth in the valley—until he meets Ellie (Queen Latifah), a female mammoth who believes she’s a possum. Diego the saber-toothed tiger (voice of Dennis Leary) conquers his fear of water. And Sid the sloth (voice of John Leguizamo) continues his reign of stupidity. 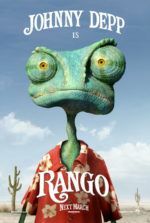 Suffering from the same troubles as Dreamworks’ Madagascar series, the Ice Age movies over-modernize their productions with hip lingo, base humor, nonsensical references, and structures it all around paper-thin storytelling. Their few redeeming qualities reside in side characters that steal the show in their few moments of screen time: Madagascar has secret agent-wannabe penguins; Ice Age has Scrat. If they charged full ticket price for the barely fifteen minutes these characters filled doing their own thing, the admission might be satisfying. But with all the other unnecessary fodder (i.e. the movie), even with a runtime barely breaking the 90-minute mark, the experience is hardly worth enduring.